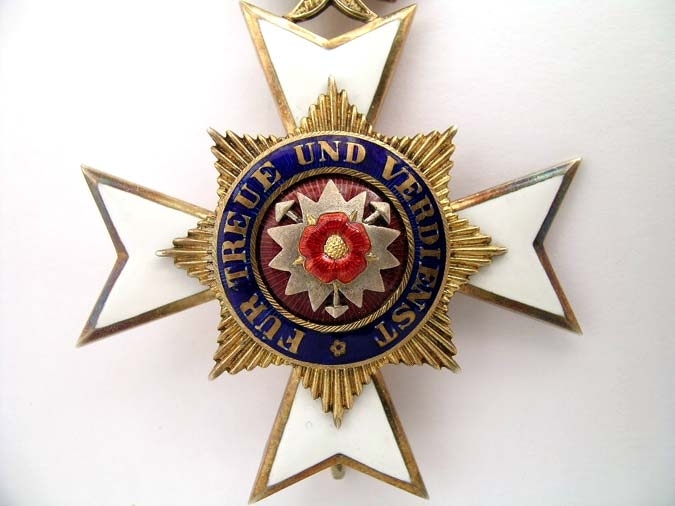 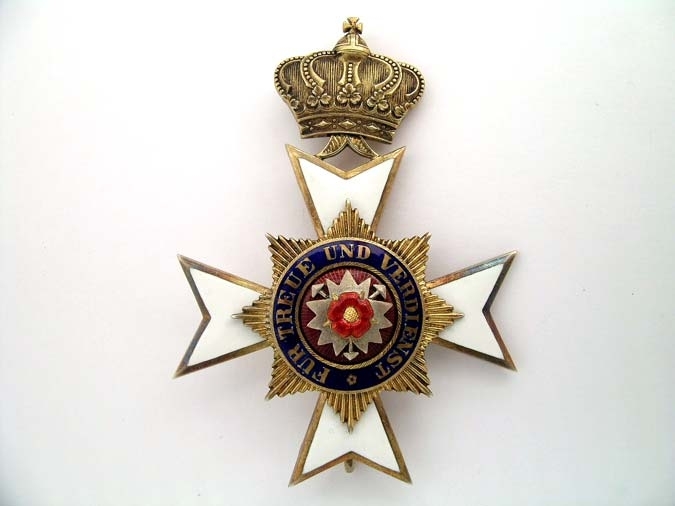 Merit Cross in silver gilt and enamels, 53.5x75mm. 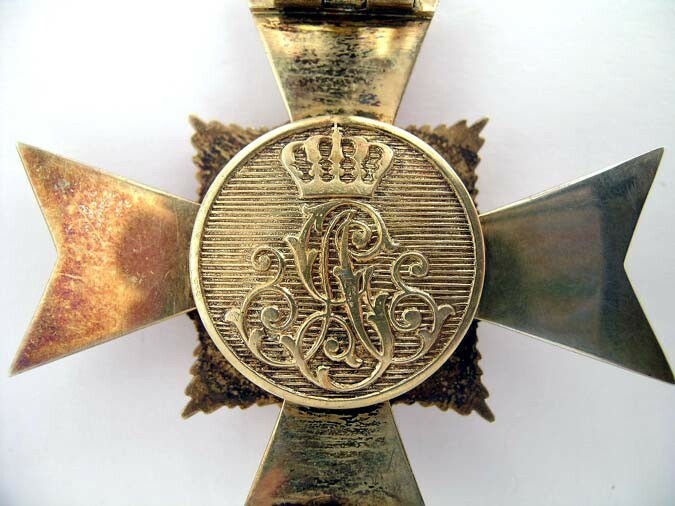 Unmarked cross, of very fine quality make, enamels intact, in extremely fine condition. Issued during 1917-18. 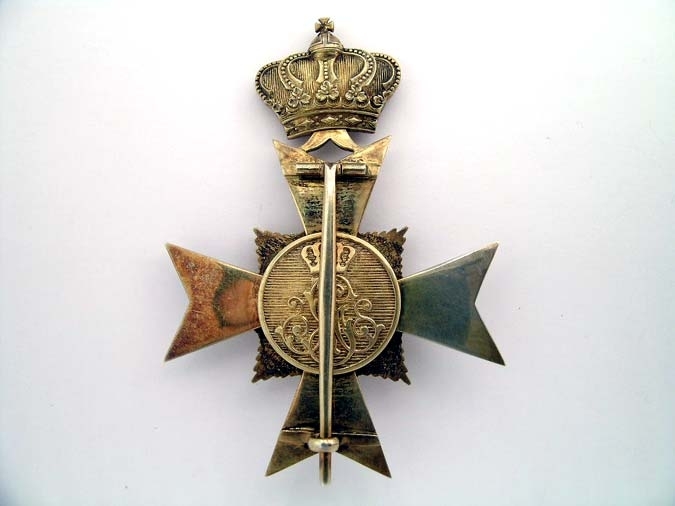 Rare in silver gilt.